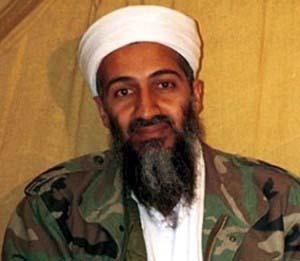 eNLokam: Osama Bin Laden was Killed!? Osama Bin Laden was Killed!? "Justice has been done," said the American president Obama. This is when he declared the death of Osama bin Laden, the mastermind behind the September 11, 2001, terror attacks that killed thousands of Americans. "Tonight, I can report to the American people and to the world that the United States has conducted an operation that killed Osama bin Laden, the leader of Al-Qaida, and a terrorist who's responsible for the murder of thousands of innocent men, women and children," Obama said in a surprise late night White House address. The world's most wanted man had been killed in a Pakistani compound in an operation on May 1,2011. The development comes just months before the tenth anniversary of the September 11 attacks on the World Trade Centers and Pentagon, orchestrated by bin Laden's al-Qaida organization, that killed more than 3,000 people. The attacks set off a chain of events that led the United States into wars in Afghanistan, and then Iraq, and America's entire intelligence apparatus was overhauled to counter the threat of more terror attacks at home. Al-Qaida organization was also blamed for the 1998 bombings of two US embassies in Africa that killed 231 people and the 2000 attack on the USS Cole that killed 17 American sailors in Yemen, as well as countless other plots. Is this the end of Laden and his terrorist operations? Let's hope for the best.